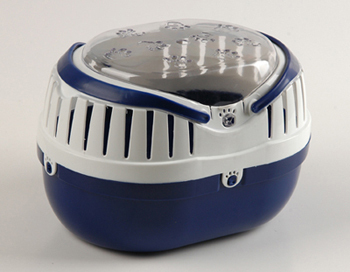 Small Animal Carrier By Happy Pet. Great for quick and easy temporary transportation. Made of safe, durable, non-toxic plastic. Well ventilated & easy to clean. Non-slip feet & easy grip carry handles. Available in lime green and purple. Please state your colour preference when ordering. Size Small - ideal for mice, hamsters and gerbils.